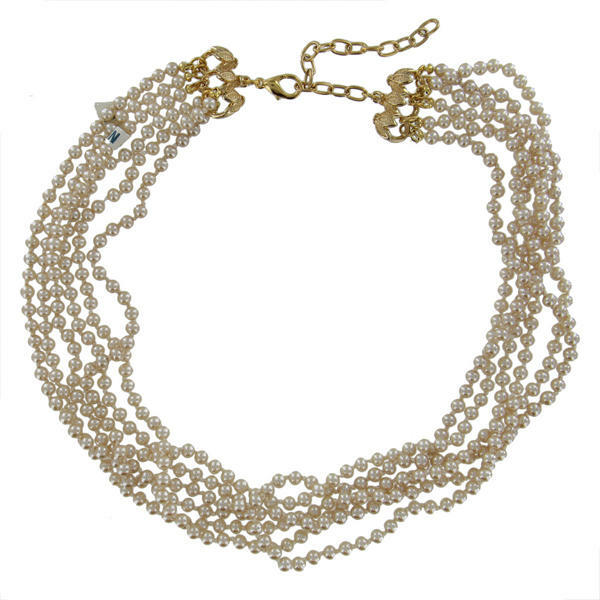 Choker Necklace 6 Strand Faux Pearl 4mm Glass Seed Beaded Upcycled 16"-20"
Measurement: Length Adjustable 16" - 20" Glass Faux Pearls 4mm Total width approx 0.875"
Custom made 6 -strand faux pearl choker necklace. This piece is custom made from vintage glass Japan faux pearls, vintage clasp, and new findings. 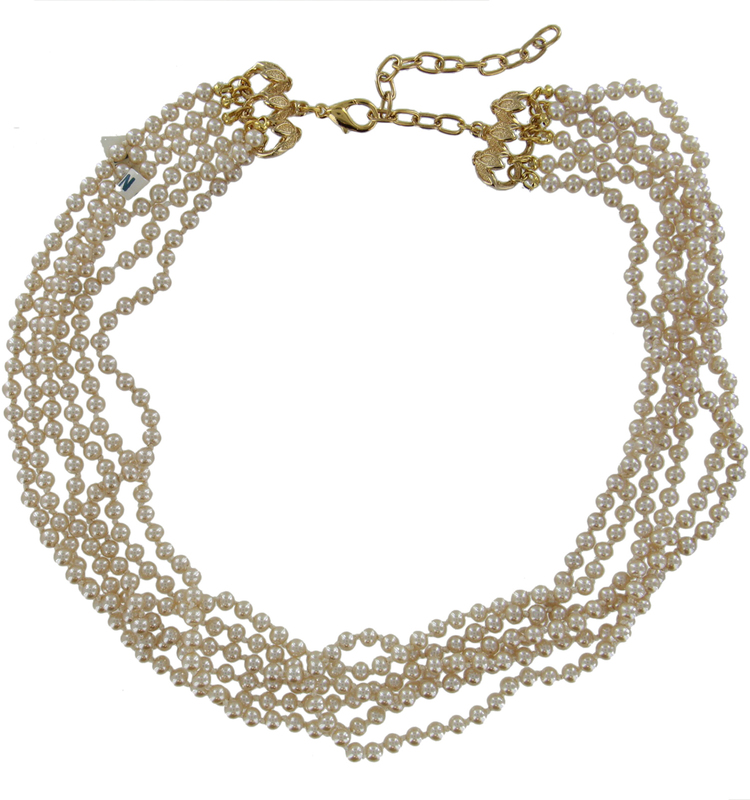 Get this upcycled newly made piece today for that classic layered faux pearl look.